Boss design in games can be difficult. In the original Possession, bosses were pretty basic. They were creatures slightly stronger than most of the regular creatures on the level. None of them had any special abilities, except for the fact you couldn’t possess them. I made them unpossessable for a few reasons: one, it’d be a pretty anticlimactic fight if you just possessed the boss as soon as it showed up then merrily went on your way. But also, it forces you to change your tactics somewhat. In most other fights in the game, you always have the option of possessing the enemy rather than trying to fight them (either right off the bat, or if you start losing). Making these strong creatures unpossessable meant that you had to actually fight them, hopefully using what you learned about your body’s abilities during the rest of the level. A lot of the bosses in Possession 2 are still pretty much the same: just a stronger enemy you can’t possess. But now, some of them do have ranged attacks and special abilities, like regular creatures do (for example, the Bounty Hunter Imp from the first level has pistols it can shoot at you). Some (but not all) of the special levels will have bosses that are pretty different, though. Here’s The Baron, the boss of the Swamps. 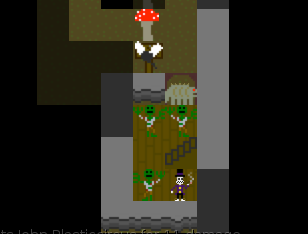 He’s actually pretty weak, but you have to make it through his zombie and skeleton bodyguards to actually fight him (and just wiping out the zombies beforehand won’t work, new ones will sprout up as soon as the old ones are killed). 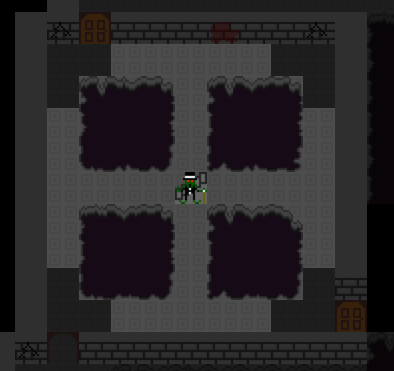 Here’s the Eldritch City’s boss room. A single narrow walkway surrounded by pits. Surely it’s just for decoration, nothing bad is going to happen here. 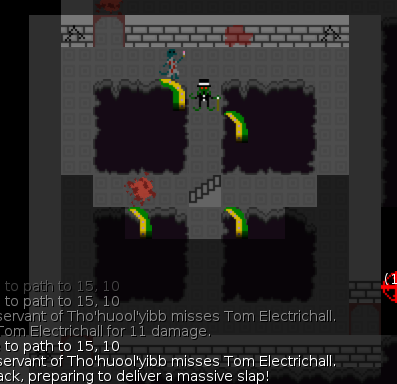 When you try to go up the stairs, four tentacles pop out of the pits and start trying to lay the smack down on you. You have to defeat all of them to advance. The good thing is, they’re confined to the pits, so you can run away and regroup more easily than most bosses if you need to. Just watch out to make sure they don’t smack you into the pit or into a wall. The tavern doesn’t even have any specific bosses. 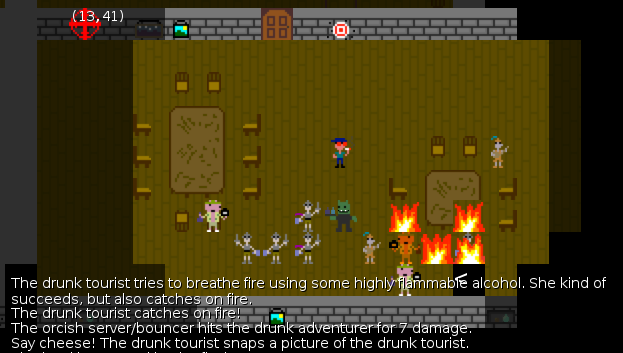 Instead, to leave the level you’ll need to fight your way through a massive barroom brawl! The game now has an Indie DB page! If you have an account, follow it for updates! This game is looking pretty freaking cool! !